Expert mortgage advice for buying property in the Balearics and the rest of Spain. The offer of different mortgage products in Spain has increased considerably in the last few years. It isn´t easy to understand and compare the different offers, which can vary greatly between one bank and another. A correct decision could mean significant savings at the beginning and over the life of the mortgage. An experienced broker helps oversee the entire purchase process and negotiates with the different banks, taking into account the interests of the client. Sometimes you cannot get on without help, especially in a foreign country. We make the purchase process easier so that it is less time-consuming for you and less of a headache. Being up to date on all policies and mortgage practices, we work with many lending institutions so that our clients have a wide range to choose from, and we ensure that we will find the best service for you. We are truly independent brokers and will clearly explain the best options available to suit your needs. We will help you every step of the way to acquire your dream property using our experience. What are the main types of mortgages in Spain? In the past, the majority offered were variable rate mortgages but now there are actually a number of products on the market and, therefore, BMS will discuss your requirements with you before recommending a suitable product. We strongly recommend that you appoint a lawyer who will ensure that all the necessary checks are carried out on the property. The lenders will decide this after checking your personal and financial profile. But, in general, the LTV is about 60–70% of the purchase price or the taxation of the property for non-residents. How much will it cost to buy a property in Spain? There are taxes, deed costs and bank charges when purchasing a property. At the moment, a general guide is 13–14% of the declared purchase price. The timescales depend on the banks but, usually, the whole process can take between 5 and 8 weeks to complete if there are no complications. Contact us for an initial chat to find out how we can help you to sort out the best mortgage for your property purchase. You still have not found a suitable property? 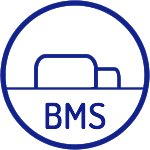 Where does BMS operate ? 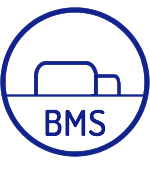 Originally from Germany, Bettina Lorenz is the CEO and founder of BMS. Having studied economics and having worked for over 8 years in the retail banking sector in Germany, Bettina moved over to the Balearic lslands in 1996. Since landing on the island about 20 years ago, she has worked in the real estate sector and, for a short period, with a law firm in lbiza. This has provided her with a great understanding of the Spanish legal and administration systems. ln 2003, Bettina began to work in the retail banking sector again and has accompanied her international clients through the mortgage process over the last 12 years while working in Spanish banks. She was a personal advisor in Deutsche Bank S.A.E. in lbiza for more than 9 years and held the position of branch manager in an important British mortgage bank in Spain for 3 years. During this period of time, she has created her network of contacts, working closely with many tax advisors, Iawyers and notaries of the Balearic lslands. Even ínternational banks, tax consultants and international lawyers have found Bettina to be an important contact when dealing with mortgages in the islands. Realizing in her daily work that customers need independent financial advice for the purchase of real estate in order to get the best deal financially, she founded BMS at the beginning of 2016. I think your service is extremely professional, helpful and supportive. And your service’s fee is also very fair in comparison with the higher fees of other intermediaries. It is really worth it. Ich bedanke mich von ganzem Herzen für Ihre tolle Leistung! Wir hätten nicht gedacht, dass Sie den Kredit bei meiner doch weit verzweigten, internationalen und komplizierten finanziellen Gebarung so gut aufbereiten können und zu einem positiven Abschluss bringen. Man ist bei Ihnen in wirklich guten Händen, weiter so! Our experience in Mallorca last year was that some intermediary first say that it will be easy to arrange a mortgage for us but only to let us down after many weeks of wasted time and BMS were the only company able to find a mortgage for us. Fortunately we found you in the internet. Could not have bought the flat in Mallorca without your exceptional service & delivery from the neighbour island of Ibiza. I certainly will recommend your services to anyone I hear looking for a mortgage. Thank you, Bettina!